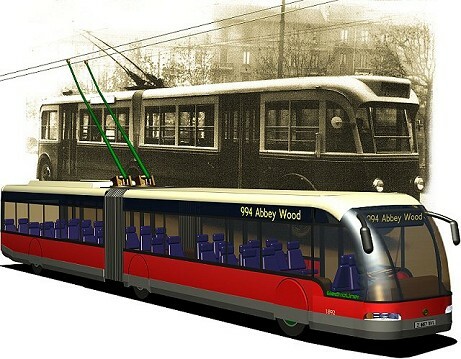 At a time when British trolleybus systems were being closed, the NTA was formed in 1963 to acquire and preserve a number of trolleybuses that would represent the various types still in existence and to establish a museum where they could be operated. 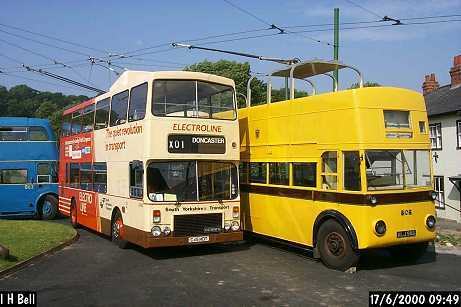 NTA members were keen to save examples of their favourite types and a fleet of about fifteen vehicles had been acquired by the time the last system (Bradford) closed in 1972. The more difficult process of finding a site for a museum then commenced. A recently-closed railway line in Northamptonshire was considered and for a time it appeared that a better arrangement had been found with a developer who wished to build a leisure park in Hampshire at which the trolleybuses would provide the internal transport system. It was a disappointment that, after some years of planning, the project was abandoned by the developer. 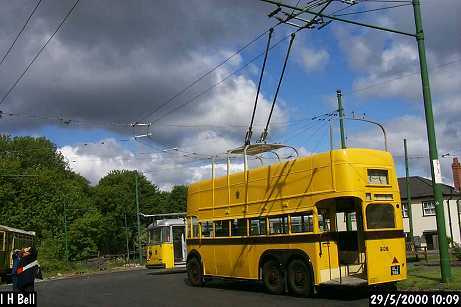 By this time the condition of the acquired trolleybuses, stored in farm buildings and on open ground at various locations was deteriorating and it was decided to reduce their number to a core collection. 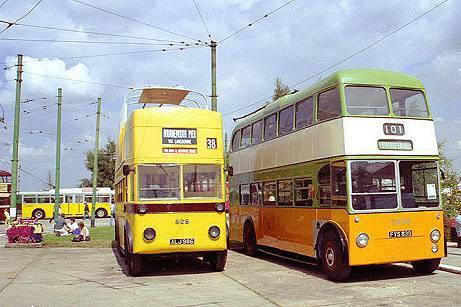 After much debate Bournemouth 202, Belfast 168, Hastings 45, Huddersfield 541 and Wolverhampton 654 were retained and the other trolleybuses passed to other preservation groups. The restoration of heritage vehicles is a time-consuming and costly business so the NTA was fortunate in being able to secure the co-operation of people who had the time and skills necessary to undertake this work. 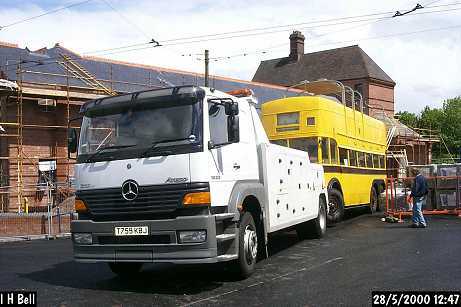 With the NTA funding the materials, the Bournemouth Passenger Transport Association restored 202, the Hastings Trolleybus Restoration Group started work on 45, and Brian Maguire at the Sandtoft Transport Centre took the lead role in restoring 541. 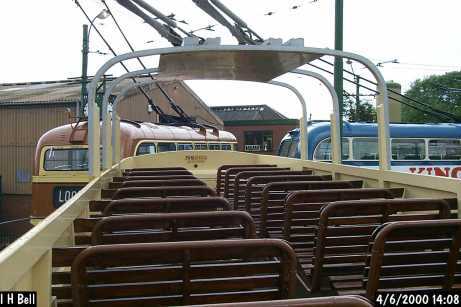 Bournemouth 202 was completed in 2000 and is now on loan to the East Anglia Transport Museum. Huddersfield 541 will be completed in 2007. It is hoped that work will be carried out on Hastings 45 during 2007 at a new location and restoration has started on Belfast 168 - details will be charted at this website. An organisation with members scattered around the United Kingdom, and increasingly around the world, needed an effective communication medium. The initial members' newsletter developed into a magazine, which from 1968 was illustrated and printed professionally. Over the following decades, various improvements have been incorporated, with colour cover pictures introduced in 1991 and colour pictures on the inside pages in 2006. A cartographer joined the editorial team in 1991, immediately improving the style and clarity of the system maps, which are a feature of the magazine. The worldwide membership is one of the strengths of the NTA because Trolleybus Magazine is thereby able to report promptly news about systems in all the continents, which has helped to make the magazine the world's premier journal devoted to trolleybuses. Further information about the magazine can be found on this website and a sample copy can be obtained from NTA Sales.